"Meet me on 3rd and Fairfax" was once common expressions among Angelenos - and with good reason. At the corner of the aforementioned street you'll find both the Farmers Market and The Grove, two must-see destinations that together form a community hub of sorts, offering an abundance of dining, shopping and entertainment options. Though the Farmers Market and The Grove are, in fact, two separate entities, they have a strong synergy due to their geographic proximity to one other. Their adjacent locations make it all too easy to navigate both sites within a single visit. On any given day, there is a constant stream of visitors strolling to and from the two attractions. An electric trolley is even on-site to shuttle the less mobile between the Grove and the Farmers Market. However, parking remains separate for the two places, so choose your lot based on where you'll be spending most of your time (and your dollars). The Farmers Market offers two hours free with validation from one of its merchants. Meanwhile, The Grove provides one free hour of parking for all guests, and, following that, it charges $3 for the next two hours with validation from select restaurants and retailers. Valet parking is also available at The Grove for those of whom money is not an issue. At both places, remembering to validate your parking ticket is key; without validation, parking will cost you a pretty penny. 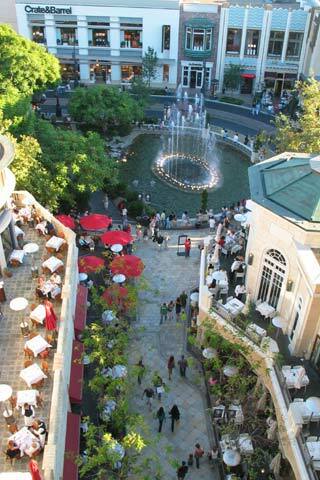 Despite their similarity in offering tourist-friendly food and retail options, the Farmers Market and The Grove differ significantly in their history: Having opened in 2002, The Grove is still pretty new, particularly when compared to the Farmers Market, which has served as an L.A. landmark since it opened in 1934.